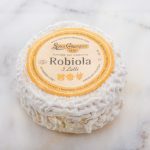 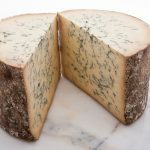 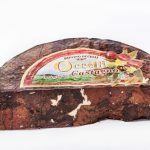 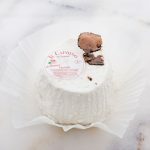 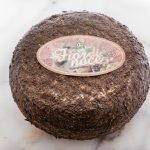 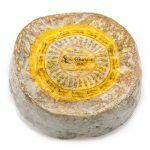 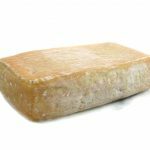 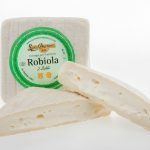 Robiola cheese is one of the most popular and appreciated Italian cheeses, produced in Piedmont from goat’s milk. 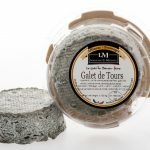 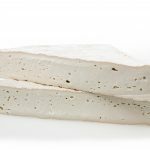 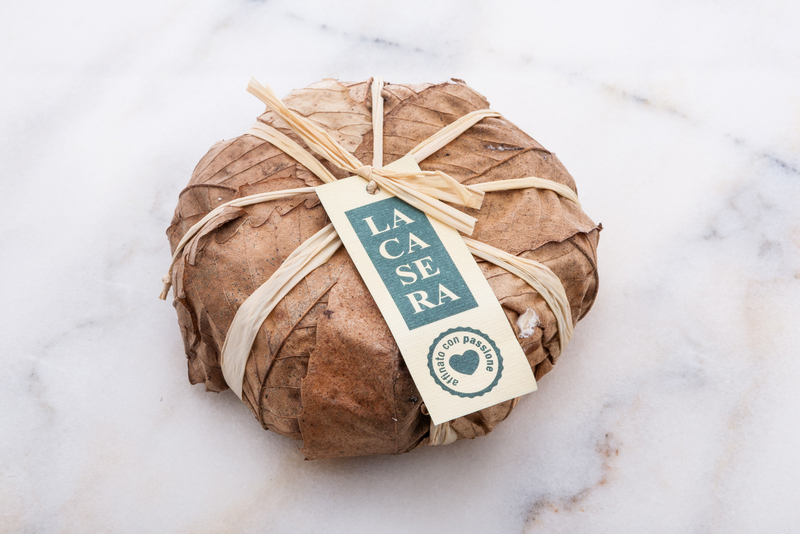 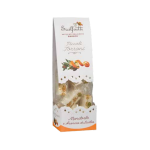 This is a special variation of the delicious goat cheese, aged for about 20 days wrapped in chestnut leaves. 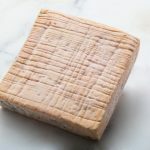 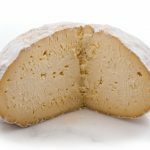 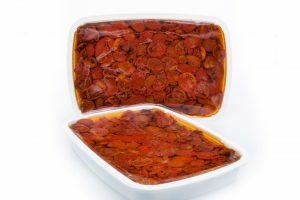 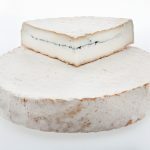 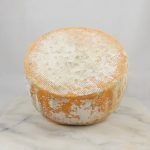 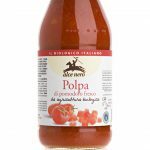 This process gives the Robiola a particular woodsy taste and a denser texture, with a runny layer just under the rind. 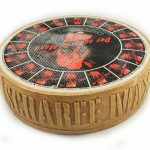 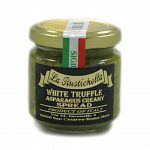 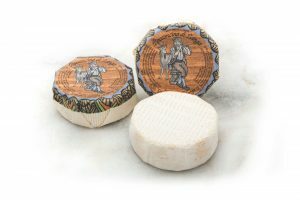 The result is a creamy cheese with an intense albeit balanced flavor and an striking appearance. 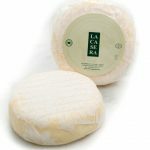 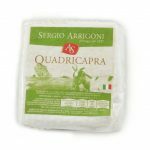 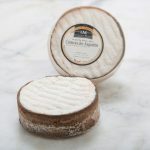 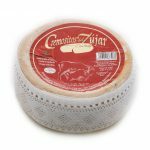 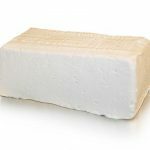 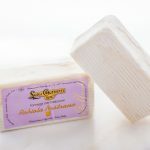 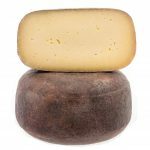 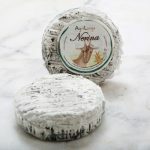 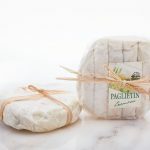 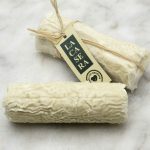 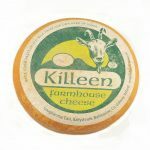 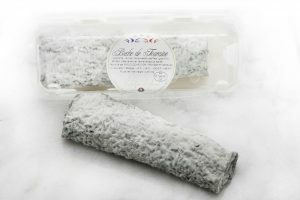 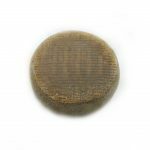 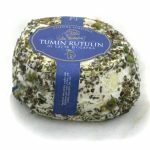 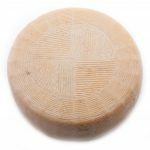 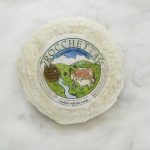 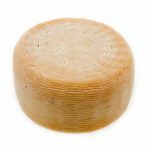 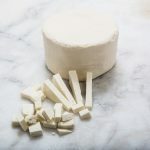 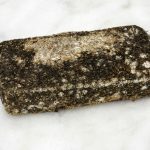 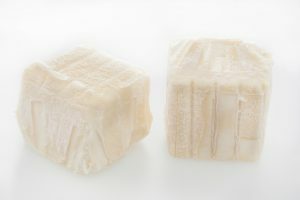 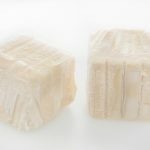 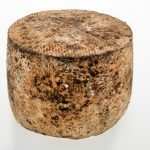 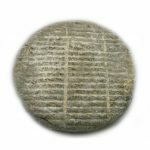 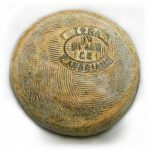 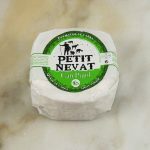 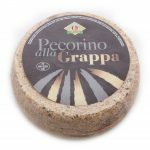 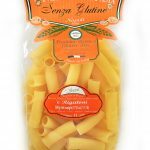 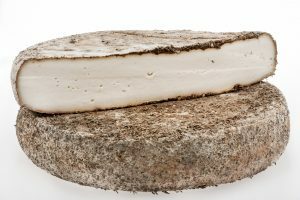 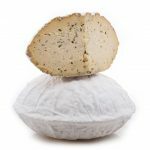 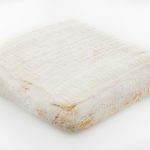 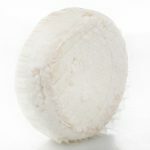 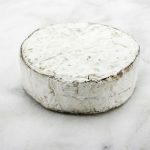 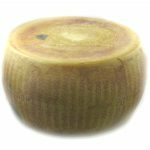 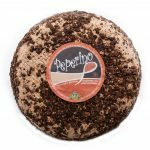 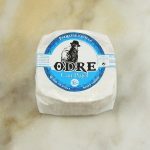 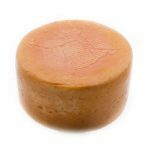 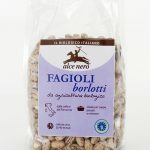 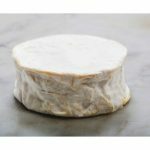 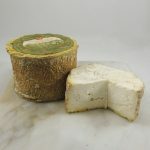 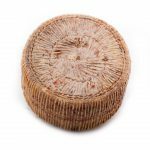 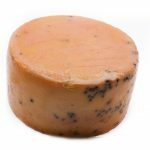 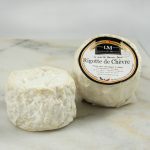 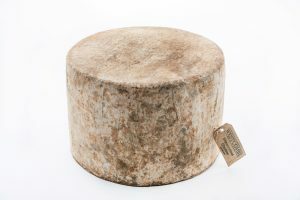 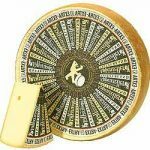 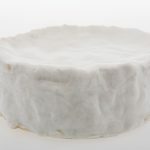 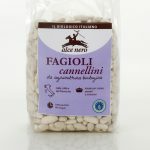 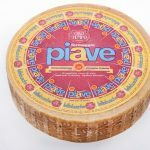 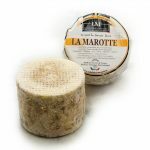 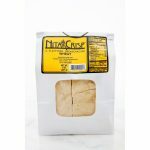 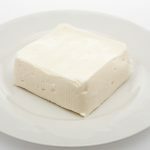 Organoleptic properties Aspect and texture: the finished cheese is luscious and creamy with a chalky center when young. 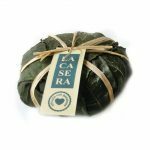 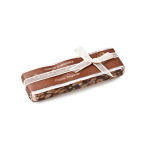 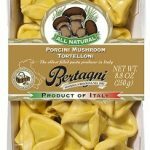 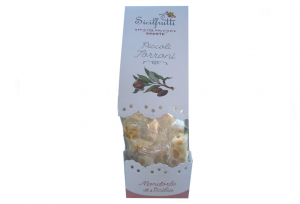 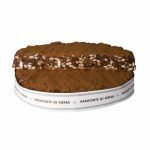 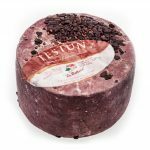 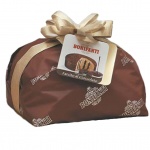 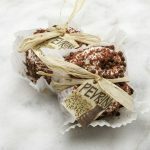 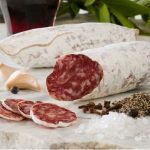 The chestnut leaf wrapping not only protects the cheese but also imparts a subtle woodsy flavor and visual appeal. 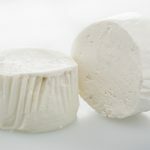 Taste: mild, refined goat’s milk flavor, with a hint of minerals. 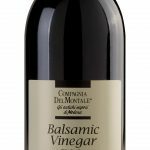 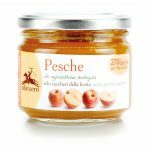 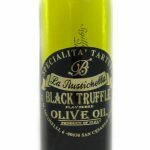 Serving suggestions Serve with earthy white wines, fruit conserves, and toasted breads. 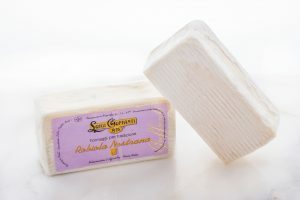 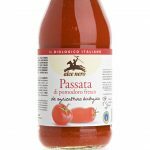 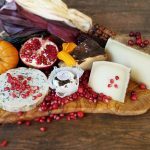 Ingredients Pasteurized goat’s milk, traditional rennet, cultures, salt, chestnut leaf Learn more about the Langhe and Robiola cheese!